If you’re on the lookout for a terrific new robot vacuum that won’t break the bank, you’ve definitely come to the right place. 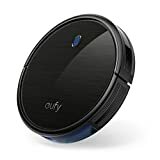 Anker’s Eufy brand covers the company’s smart home gadgets, and it also makes one of the best-selling robot vacuum cleaners on Amazon: the RoboVac 11. Well a new version of that model was just recently released, and it’s on sale right now on Amazon for a whopping $63 less than the original. Pick up a Eufy BoostIQ RoboVac 11S Robotic Vacuum Cleaner now and you’ll pay just $186.99. That’s a fantastic price for a great vacuum, and it’s not going to last much longer.